Most people dismiss e-mail marketing because they mistakenly associate it with spam. However, for small businesses, e-mail marketing is very valuable in bringing in customers and sales. In fact, the Direct Marketing Association estimates that e-mail marketing has a return on investment of around $40 for every $1 spent. It estimated that in 2012, e-mail marketing would have brought in $67.8 billion in sales for businesses. If that is the case, can QR codes help your e-mail marketing campaigns? Yes it can! 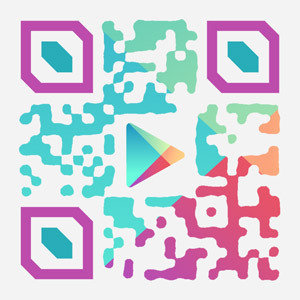 Get more subscribers with QR codes. Your e-mail marketing effort is only as successful as the number and quality of e-mail addresses on your list. Of course, you would need to have interesting content to send out to your subscribers, but you would also need to beef up your list first. Using QR codes, you can get subscribers offline. For example, you could put up a QR code that would make it easier for the customers who come into your store to sign up to your e-mail newsletters. Or you could put up a QR code on your marketing flyers, business cards and other marketing materials to get more subscribers. 1. Tell your customers what the QR code is for and how to scan them. It is very important that you put instructions together with your QR code. You tell your customers what a QR code is, how to scan it and what it does. 2. Promote the benefits of scanning your QR codes and subscribing to your newsletter. 3. Track your QR codes. It always helps if you could measure how successful your QR code is. Check out our service to see how you could easily track your QR codes and how that can contribute to adding more subscribers to your e-mail list. 4. No QR codes in e-mails. Lastly, refrain from using QR codes in your e-mails. It is better to use a text or graphic link than a QR code.